On arriving in Mumbai, meet an IHPL representative who helps you with an assisted transfer to the hotel. Known as the ‘Dream City, Maharashtra’s capital, Mumbai is one of the most sought-after destinations of the country, which is flocked by travelers from all around the world for varied reasons, be it business or leisure. After check-in, you are free to spend the day as per your own liking. You can visit the popular markets, can visit the nearby attractions and more. Stay overnight. On day, post-breakfast, get all set to visit the popular attractions of Mumbai. The list of today’s sightseeing might include the Gate of India- erected during the British rule it is now a popular landmark, Prince of Wales Museum- now The Chhatrapati Shivaji Maharaj Vastu Sangrahalaya it houses several interesting ancient artifacts, Hanging Gardens- also known as Pherozeshah Mehta Gardens it is a beautiful terrace garden, Haji Ali Dargah-not only a mosque but a landmark placed on an islet and so on. In the evening, you can visit the famous beaches like Juhu Beach and Chowpatty Beach where you can taste the lip-smacking street food, view the mesmerizing sunset, indulge in fun activities etc. Overnight in Mumbai. Today, get all set to get transferred to Lonavala, by road. After breakfast, begin driving for Lonavala, via Khandala. While on the way, treat your eyes to the lush greenery spread all around, soak-in the cool breeze. You can take a halt here and click some nice pictures with the loved ones. After reaching Lonavala, check-into your hotel. You are now free to explore the lakes, waterfalls and caves of this hill town. Some of attractions include Bhaja Caves-Buddhist caves etched during 2nd century, Karla Caves-India largest cave temples and Koregad fort-ideal for trekking expedition. Overnight stay. 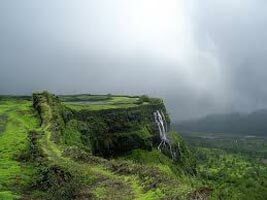 On the day, begin driving towards Mahabaleshwer, another mesmerizing hill resort of the state, thronged by tourists from all around. As you reach, complete the check-in formalities. Leave the hotel room for visiting the attractions. Enjoy the amazing weather. Visit popular points like Arthur’s Seat, Babbington Point and Sunset Point to admire some panoramic views of the surrounding areas. Visit Morarji Castle, known for its British architecture. Taste the local renditions and so on. Overnight in Mahabaleshwar. After breakfast, get all set to get transferred to Alibagh, by road. A popular weekend spot, Alibagh is known for its clean and beautiful beaches. Check-into the hotel, after arrival. Later, partake in sightseeing. 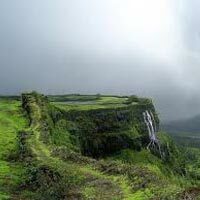 Explore the popular forts like Khanderi Fort, Kolaba Fort and Undheri Fort. Kihim beach, Akshi beach are two of the very popular beaches of Alibagh. Stay overnight.